Denver: And today, we’re going to visit one of the most highly regarded cancer centers in the entire world. 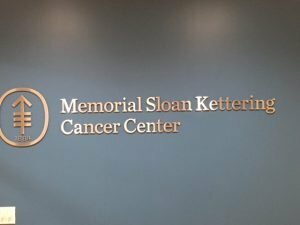 It’s Memorial Sloan Kettering located on the east side of Manhattan. It’s a remarkable institution with a compassionate and dedicated staff as you will hear. Timisha: About six months later, the process for coming back for follow-ups and check-ups and things like that, we still received the same level of care. I said, you know what, if that’s the type of care that they are consistently providing to patients, and if that’s the type of care that the staff are willingly doing, then I think I might want to work here. 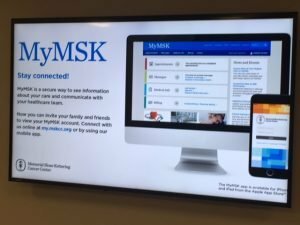 Almost 11 years later, I’m still at MSK and I still see the same culture going on, and I see total commitment to making it better each year. Rebecca: But I think that my most favorite day is seeing our Pediatric Complication ceremony, watching a group of kids that are so resilient and bond together as a group through treatment go through milestone of completing their educational goals and seeing the MSK nurses, their doctors, their care teams all come to rally around and celebrate them is something that sticks with you, and it really makes you appreciate the level of care that Memorial Sloan Kettering across the board gives to not only our patients but their family members. Ting-ting: It’s looking at a higher process. It’s understanding that a person is affected so deeply, life-changing. They’ll never be the same again. That commitment to do good, to really look at a person and look at their life and see what we can do as individuals and then as a team collaboratively. I think one of the things about when interview to hire, we really want to make sure too that when we interview a candidate, they’re also interviewing us because we really want to make sure the fit is right. We want to make sure that we can support their goals because if they’re happy; we always say, the patients are happy and then we’re all happy. Paul: One of the things that I’m involved with as the HIX manager for this building is finding willing volunteers to go uptown and do shifts after they’ve done their eight hours of work here in their normal day job that they will go and spend an overnight as a patient aide or working on the clinical floor. 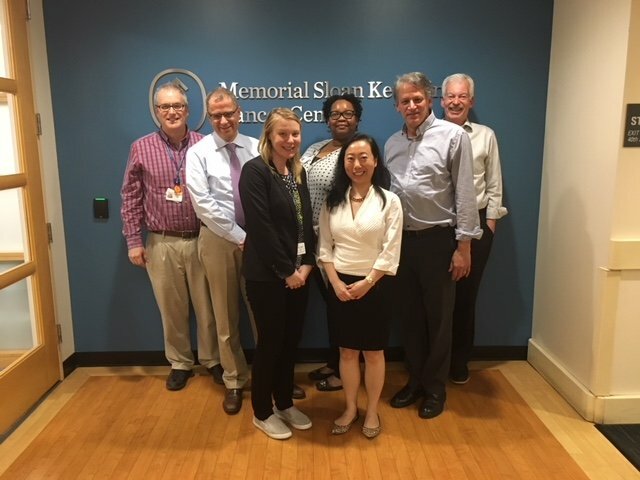 And I’ve had the opportunity to do that on several occasions, and they are some of the most memorable shifts and by the way, the hardest working shifts that I’ve ever done in my two decades here at Memorial Sloan Kettering. So, I think that the culture brings you in but the culture is something that transforms you once you’re here. Robert: So, I would say the overall scientific feeling here is that Sloan Kettering gives our scientists the very best chance to succeed. It gives them the funds and the support, the collaborative interactions that are essential for the type of work that we do. Timisha: We have this institution-wide model which is One MSK which means we’re all inclusive, what you do over here is what we’re doing over here. The care that we’re giving, you are giving. Over the last few years, I’ve seen that develop in a lot of ways. Rebecca: I think in the 13 years I’ve worked here, I’ve learned something new here every single day, whether it be cultivated in my home department or through conversations with others. So, that’s something that’s actually part of our mission. 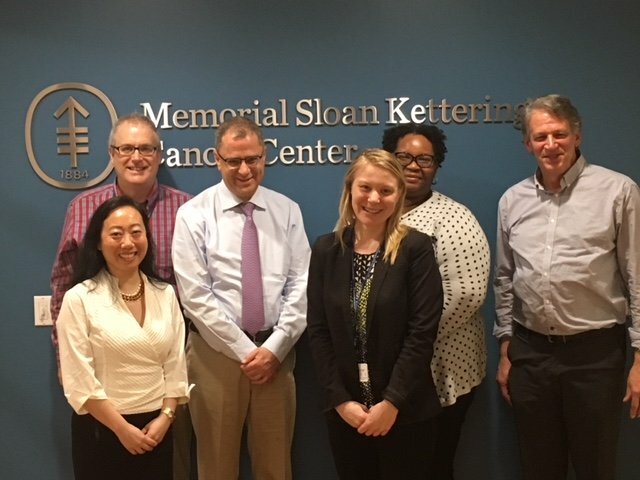 Our mission at Memorial Sloan Kettering is research patient care and education, and that’s something that’s priceless to me. The education I’ve received at Memorial Sloan Kettering over the past decade is just incredible. 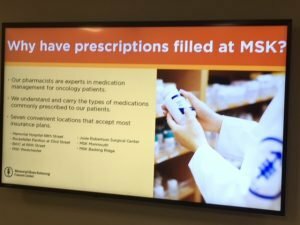 Ghassan: One of the questions that people wonder about Sloan Kettering is if really we have any global interest or global connectivity, and we might look like as if we are just limited to Manhattan, not even going beyond that. Believe it or not, we do. But we do it probably in a different way but probably in the right way because rather than having all agreements in the C-Suite level, we have agreement on the peer-to-peer interaction enough that, it’s all driven by the focus and the mission of Memorial which is to serve humanity. This is the sense of purpose we have. Robert: Nobody really cares about how passionate you are about your ideas. They care if you’re right or if you’re wrong. You’re usually either 100% right or you’re 100% wrong. It’s rare that it’s somewhere in the middle. The culture here helps you get the types of feedback that you need before presenting your ideas to a larger audience. That’s what you want. So, when I go to work in progress meetings here at Sloan, I’m faced with the toughest questions that I would get anywhere. That’s exactly what you want. You want people who are thinking critically about your work and can give you the type of feedback that you need in order to present your ideas to a larger audience. Now, for some people, it takes an adjustment. Some people might prefer to get coddled and I think they learn that you really have to stand up on your own here at Sloan pretty early on and have to face some of the toughest types of questions that you will actually receive. I think that’s critically important in making this place one of the best research centers in the country. Timisha: Actually, we call it SAW. It’s staff appreciation week. It’s usually in July. It’s an entire week full of programs dedicated specifically for the staff. We do have leadership on the C-Suite level that come to all of the locations even out as far as our Long Island where I am. They speak to the staff. They thank the staff. They serve food to the staff. There’s programs. There’s lunches. And a lot of developmental opportunities. Ting-ting: One aspect in rehab, what we really have to look at is where can we focus most and best our resources because we all have limited resources. 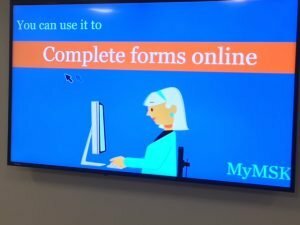 So, data helps us determine where we can put our efforts and make sure the right patients get the right level of care at the right time in order for us to maintain the excellent care that we’re really giving. Ghassan: What’s important about this is other than we have that commitment for a disease and we make sure that we take if from the beginning until the end, and, of course, what goes in between in regards to hard work and the ups and downs and research, what fascinates me about the place here is that we are very honest. In other words, if things are working great, we celebrate it for sure. If things, however, did not work, we just come out and say it did not work. Paul: One of the ways that we push ourselves is through conferences. I’ve had the opportunity to present at a dozen conferences over the years, and there is nothing that pushes you to learn a particular subject better than knowing that 150 people are going to be paying money to listen to what you have to say on a particular subject. So, it is us pushing ourselves into doing better and then present better at the next conference, and it has a momentum to itself that keeps you going. And once you get into that, it’s much easier to stay in it that it is to actually jump into that moving river that may seem somewhat terrifying. Robert: In addition, I find that on a less personal note, that the conditions at Sloan are always open to hearing my requests for patient care. So I will get calls from friends, friends of friends of friends who will have cancer diagnosis, and I’ve never ever been turned down by a clinician to get to see them, offer the best advice, the best person to help them with the diagnosis and treatment. For me, that’s a very important part of the culture here. People are very receptive to helping their colleagues in many different ways. Denver: I want to thank all those who participated in the segment: Rebecca Williams, Timisha Walker, Ting-ting Kuo, Ghassan Abou-Alfa, Paul Cortelessi, and Robert Benezra. 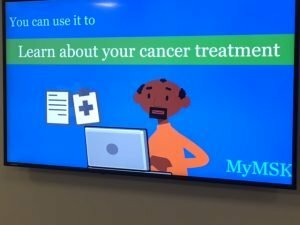 If you should be interested in listening to this again or reading the transcript or perhaps seeing pictures of the participants and the Memorial Sloan Kettering offices, they’re all available at denver-frederick.com.